If you are new to wearing contact lenses or have been wearing them for a while, you may have questions about your lenses and caring for the correctly. All first time wearers go through an adjustment phase. After a few months, you will quickly develop a daily routine with your lenses and using them will become second nature. As a first time wearer, it’s really important to develop the right hygiene practices and wearing habits. This will prevent you from encountering health complications and problems with your lenses. Bad wearing habits could lead to an eye infection or injury. Amy Pritchett, health writer for the online contact lens retailer Vision Direct UK, offers six tips for first time contact lens wearers. As a contact lens wearer herself, she has become an expert at wearing daily lenses but has also worn monthly lenses in the past. Amy recommends starting off with good habits to avoid any future problems. Depending on the type of lenses you have, they are meant to be worn for different lengths of time. Try not to exceed this limit. For example, if you have lenses that are meant to be worn for two weeks then you shouldn’t wear them for three months. Your contacts were not manufactured to be worn for this length of time. Wear to the lenses, from overuse, could lead to lens erosion and permanent eye damage. There is also a risk of irritation and eye infection from wearing them out. If you are worried you might forget to change your lenses, make a note on your calendar so you remember to change them at the right time. Before you do anything with your contact lenses, always wash and dry your hands. Anything on your hands (whether it is dirt, fluff or bacteria) will stick to your contacts and end up in your eyes. 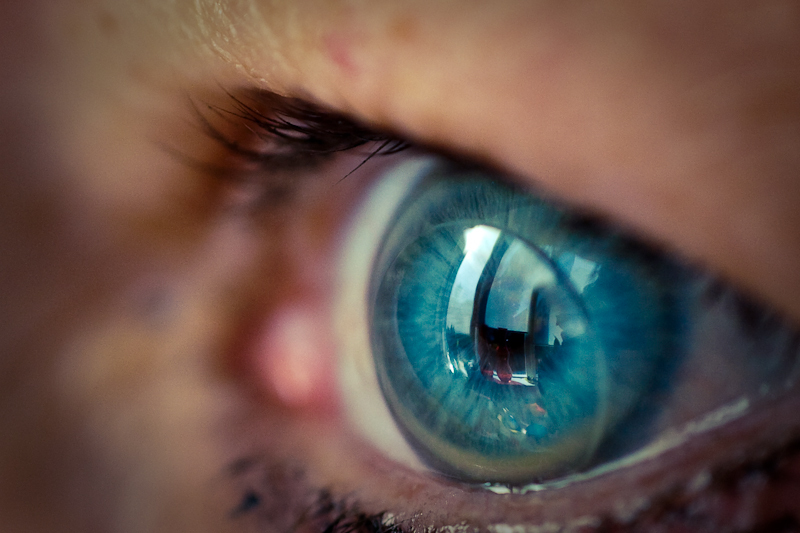 Touching your eyes with bacteria ridden fingers could lead to pinkeye, a cold or even a more serious eye infection. It is a good idea to use an antimicrobial soap to avoid a bacterial infection. You might also want to avoid using any creamy or oily soaps that might contaminate your lenses. By washing and drying your hands well every time, you will keep your eyes and lenses safe from contaminants. You should store your contact lenses in solution whenever they are not in your eyes. Always sanitize your lenses when you remove them. A solution will clean and disinfect your lenses and keep soft lenses hydrated. Keep in mind, you may not need to do this if you wear daily disposables or continuous wear lenses that do not need to be removed for a length of time. Solutions will help you minimise the level of microorganisms that build up on lenses and reduce any risk of infection. They will also add a level of comfort to your lenses by conditioning them before wear. It is highly recommended to ‘rub and rinse’ your lenses before storing them or inserting them into your eyes. There are many types of solutions available. The solution you use may depend on a recommendation from your optician, the types of lenses you wear or personal preference. Different types of solutions include: multipurpose, saline, hydrogen peroxide and eye drops to add comfort. This simple trick will save you a lot of confusion. Practice starting with the the same eye when inserting your contact lenses. This will make you less likely to confuse your lenses and end up with with a lens in the wrong eye. Establishing this habit from the beginning is easy to do and will save you a lot of headaches in the future. Your prescription might change and that is why it’s important to get your eyes checked regularly. You may require a stronger prescription if your eyes become weaker. Having the wrong prescription can lead to headaches and discomfort. Keeping your prescription up to date is the best way to have an optimum wearing experience. In addition to checking your prescription, an eye check will give you an opportunity to examine your overall eye health and diagnose health conditions early. Finally, it’s a healthy habit to give your eyes a break from wearing contacts once in a while. So if you have a moment, take them out and give your eyes a chance to breathe. You can wear your glasses during this time and it will allow for more oxygen to reach your corneas. It will also give your contacts a chance to bathe and rehydrate themselves in solution before you put them in again. Thanks for the post. Now I have more tips to help me advice my customers. Getting contact lenses are not the end, they are only the beginning. People need to visit the doctor to get rechecked often, at least once a year to make sure their prescription has not changed. Frequent checks are the only way to make sure your journey of better vision says on the right path. I really like your tip about washing your hands before using your contact lenses. That seems like a great way to make sure that you don’t get anything in your eyes. I am going to be getting contacts in the next few weeks so I’ll be sure to keep these tips in mind. I’ll have to let my optometrist know if I have any questions. Great post. Common sense, but worth mentioning over and over again, keep up the good work. Thanks for your advice, its very important to follow all your tips.